Just as Russian-US relations under President Trump hit a new low after Thursday's cruise missile strike on a Syrian air base, the mainstream media rolled out a new theory worthy of any tinfoil-hat wearing nut: that the Kremlin and the White House deviously colluded in the attack for political gain. Social media users responded to the claim. On Thursday night, Washington launched 59 Tomahawk cruise missiles from destroyers in the Mediterranean Sea at the Syrian military airfield in Ash Sha'irat, killing over a dozen people and causing serious damage to the base. 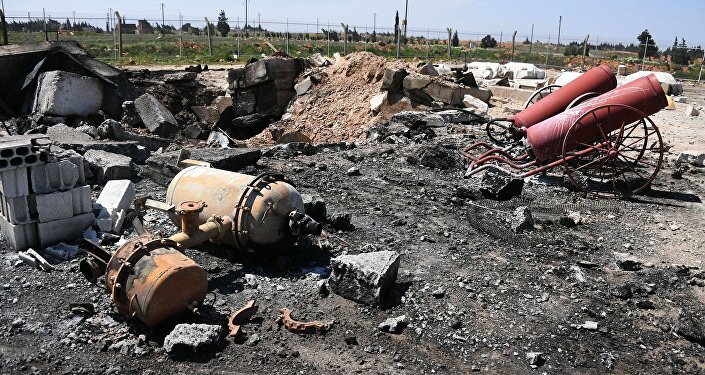 US President Donald Trump claimed that the base was targeted in response to a chemical attack in Idlib province by Syrian government forces last week, a claim which neither Washington nor its allies could corroborate with any credible evidence. Thursday's attack sent Russian-US relations into a tailspin. Kremlin spokesman Dmitri Peskov said that President Putin considered the US action an illegal "act of aggression against a sovereign state" carried out "under a trumped-up pretext." Foreign Minister Sergei Lavrov added that the attack played into the hands of the terrorists the US is ostensibly supposed to be fighting. Possibly the strongest comment in the aftermath of the attack came from Russian Prime Minister Dmitri Medvedev, who warned that the US actions had put the US "on the brink of military clashes with Russia." As far as concrete actions are concerned, so far, Moscow has announced the suspension of its Memorandum of Understanding on the Prevention of Flight Safety Incidents with the US over Syria, called an emergency meeting of the UN Security Council, sent the Admiral Grigorovich frigate off to the Mediterranean, and announced that it would be upgrading Syria's air defense capabilities. US Secretary of State Rex Tillerson, meanwhile, said that Russia's response to the attack was "disappointing," "because it indicates their continued support for the Assad regime." At the same time, the diplomat admitted that Moscow's reaction was "not that surprising." In light of this rift, one would imagine that Trump's critics among the Democrats, and the neoconservative wing of the Republican Party, would finally stop pushing the narrative (which remains unsubstantiated by any hard facts after so many months) that President Trump is a 'Russian agent'. Indeed, many hawkish politicians, including Hillary Clinton, Chuck Schumer, John McCain and Lindsey Graham, came out of the woodwork to praise Thursday's aggression. But not everyone is willing to come around. On Friday, MSNBC anchor Lawrence O'Donnell floated the absolutely insane conspiracy theory that it was ultimately the Kremlin that was behind the US cruise missile attack. According to the theory, President Putin had instructed Syrian President Bashar al-Assad to launch a chemical attack against his own people, with the aim of attracting global media attention, which Trump could then use to respond with cruise missile strikes. The latter, O'Donnell noted, would thus eliminate any doubts of Russian influence over the US president. Wouldn't it be nice if it was impossible to suspect Putin ok'd Assad's gas attack so Trump could fire missiles & change the subject in USA? — Lawrence O'Donnell (@Lawrence) 7 апреля 2017 г.
Backtracking a bit, given the total lack of evidence to back up his claim, the pundit indicated he didn't know whether his theory had a "2% chance" or "a 50% chance" of being true. "But…I don't think it's a 0% chance, and it used to be, with every other president prior to Donald Trump." "It's perfect, just perfect," O'Donnell stressed, with his commentary degenerating into a mindless rant. "If Vladimir Putin, if, if, if Vladimir Putin masterminded the last week in Syria, he has gotten everything he could have asked for." What exactly the Russian leader would find "perfect" about a US attack on a Russian ally, just days after being given hints from US officials that Washington would be abandoning its regime change policy for Syria, is unclear. 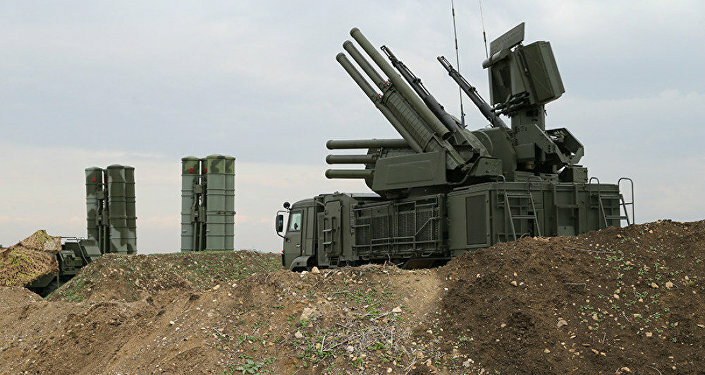 Just as unclear is what Russia stands to gain from having its ally bombed, notwithstanding the presence of advanced Russian air defense systems in the country. Defying elementary standards of proof, O'Donnell emphasized that while "you will hear opinion…that is counter to the possible scenario that I have…outlined, what you won't hear is proof that that scenario that I've just outlined is impossible." Apparently the anchor forgot the basic fact that the burden of proof traditionally falls on the person making a claim, not those who are accused. Social media users made sure to remind him of that fact. MSNBC's YouTube video featuring O'Donnell's commentary quickly filled up with comments. Loyalists of the anti-Trump network faced up against opponents, who cracked jokes that O'Donnell had lost his mind, that he made famous right-wing conspiracy theorist Alex Jones "look sane" by comparison, and that he was making the US mainstream liberal media out to be a bunch of "unhinged wackos." One user stressed that "this is the most asinine and farfetched BS [he'd] ever heard in [his] life," adding that such conspiracy-mongering helped to explain the Democratic Party's decline. Others took to Twitter, and also suggested that Mr. O'Donnell seems to have gone off his rocker. — Mark Dice (@MarkDice) 8 апреля 2017 г. — Warren C Wainscott (@warrenwarmachi1) 9 апреля 2017 г. — Andrew Klavan (@andrewklavan) 9 апреля 2017 г. — OHIO4TRUMP (@Mjhall412) 8 апреля 2017 г. — Glenn Greenwald (@ggreenwald) 9 апреля 2017 г. Ultimately, it will be up to O'Donnell to backtrack from his claims, and join the rest of his network in applauding Trump's decision, which may lead to an escalation of what is already a long and bloody war. Perhaps the scariest aspect is that in spite of all the (completely justified) criticism, there are still those who continue to follow the mainstream narrative that Russia hacked the US elections, or that Trump is really a 'Russian agent', notwithstanding last week's horrific events. — Palmer Report (@PalmerReport) 7 апреля 2017 г.